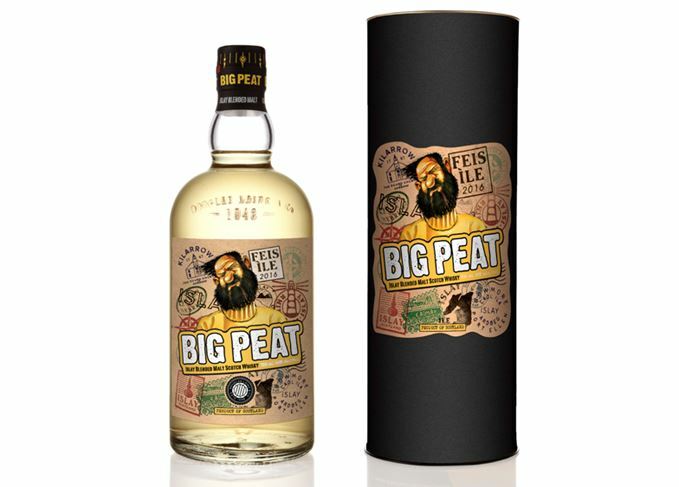 Independent bottler Douglas Laing is to release its first Feis Ile edition of Big Peat Islay blended malt in May. Big Peat Feis Ile is available now via the Douglas Laing website, and at the Islay Festival. Although first launched in 2009, this is the first time the brand will have a limited edition bottling created in celebration of the annual Islay Festival of Music and Malt, also known as Feis Ile. A 48% abv blend of single malt whiskies produced on Islay, just 500 bottles of Big Peat Feis Ile have been produced. Fifty are available to pre-order now from douglaslaing.com for £49.99 each, while the rest will be sent to global distribution partners and sold on the island during the festival on 20-28th May. Fred Laing, founder of Douglas Laing & Co, said the packaging, which features some of Islay’s most famous landmarks, is a tribute to the festival. ‘Feis Ile sees Islay truly come alive, attracting whisky fans from all over the world to this magical, week-long jubilee,’ he said. ‘We wanted to create packaging that does the Queen of the Hebrides and her Feis Ile Festival justice by creatively bringing together some of the wonderful symbols of the island that whisky enthusiasts know and love.